Production planning is a guideline for manufacturers in carrying out the production process. 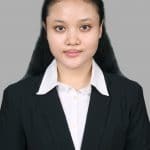 It is a complex process that includes various activities to ensure that materials, equipment and human resources are available whenever and wherever needed. With effective scheduling and planning, you can save on labor costs, speed up processes, reduce waste, optimize equipment utility, and ensure timeliness in meeting consumer needs. Therefore, it is important for manufacturers to optimize their production planning. 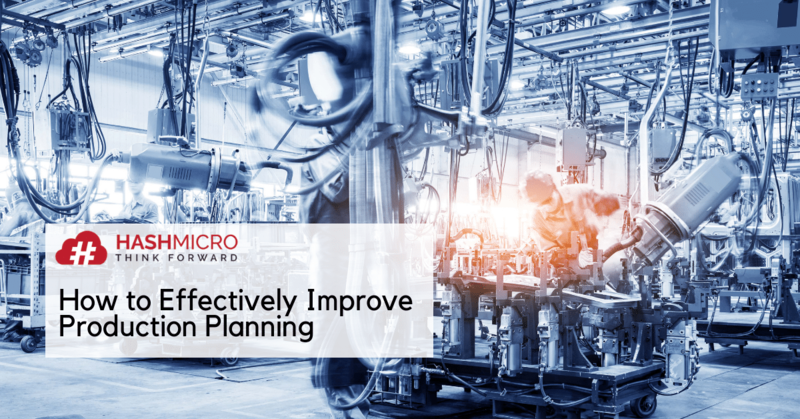 Here are a few effective production planning strategies that you can immediately apply to your manufacturing plant. In order to know how many products you have to produce, you must first predict the demand for your products. In addition to helping you produce the right amount of goods, this will also help you control the procurement and avoid inventory shortages. Apart from keeping up with trends, you can also predict the demand by reviewing your sales and inventory data. However, this will be very time consuming if done manually. To generate near-accurate forecasts, you need to have valid sales data. Therefore, it is important for you to have a sales management system that provides accurate analytical reporting. Your production capacity is one of the important aspects of your whole production process, so it is also important for you to calculate it. Inadequate production capacity disrupts the order fulfillment process and wastes a lot of time and energy in the supply chain process. This can cause a decrease in customer satisfaction and profit prospects as well. Production capacity can be calculated based on the productivity of your employees, the goods you produce, and the machines that you use to produce goods. Calculation of production capacity can be automated with manufacturing software. You are certainly familiar with lean manufacturing. In short, it is a method to reduce waste in the production process. You can apply this common method to control your inventory. You need to make sure that the goods you produce do not exceed the consumer demand. Besides reducing financial waste, this also helps you make use of limited storage space, since you don’t need to save your inventory for too long. On the other hand, you also need to make sure that your supplier can always deliver all the raw materials you need on time. This is critical so that you won’t experience material shortages in the future. Therefore, it is highly recommended that you have an inventory management system. This system helps you predict your inventory needs, provides notifications when your inventory is low, and even allows you to automatically place orders with suppliers. Technology is one of the strong factors that can help your production process run smoothly. Thus, it’s essential for you to adopt the latest manufacturing technology to ensure the manufacturing process is running as smooth as possible. One of the latest technological tools widely used by manufacturers is manufacturing software. With manufacturing software, you can automate the scheduling and planning of your production. You can determine the stages in the production process, record and distribute information related to raw materials, the number of workers, and various other requirements that must be prepared to start the production process. Production downtimes can be caused by various factors, but most often they are led by machine injuries. Imagine how much loss you will have to bear just because your machines are not capable to produce goods! To avoid production delays, you need to regularly monitor the condition of your equipment and machines. Perform regular maintenance for the longevity of your machines. Upgrade the obsolete, unproductive equipment and machines before any damage occurs. 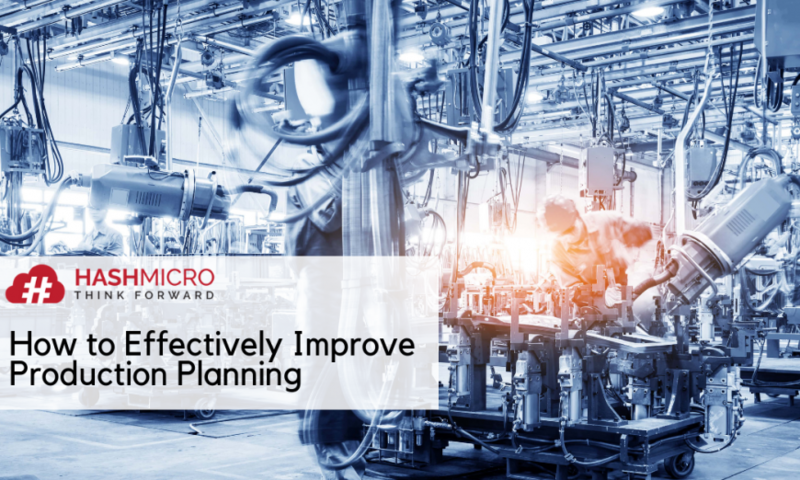 To optimize your production planning, you need to make sure all the processes and elements connected to it are properly managed, from the availability of materials, equipment and labor to machine performance and production scheduling. Monitoring and ensuring the smooth running of all aspects is certainly not an easy thing. However, with the help of an ERP system for manufacturing, you can monitor and manage all these processes through a centralized system. Contact us for more detailed information about our Manufacturing ERP System.